In Orlando, Florida recycling has become a widely discussed topic among the City Council. The Council plans to sign into law a plan to offer recycling to every residential and commercial building within the city limits. Right now many of these apartment buildings, homes, and businesses just throw away all waste ad do not recycle. With these new actions taken by Orlando’s City Council; all of these buildings will be forced to offer some type of recycling option. These cleanups are very important because they keep the community around the citizens cleaner, safer, and better places to live. Keep Orlando Beautiful is another initiative focused on cleaning up the Orlando area. This group focuses on litter prevention, waste reduction, and recycling. They are the founders of many different programs in the City of Orlando Area. They operate “Drive it Home” and “ Adopt a Road” projects in conjunction with the Keep America Beautiful organization. Their efforts have been very successful in organizing people with a common goal of keeping their city beautiful. 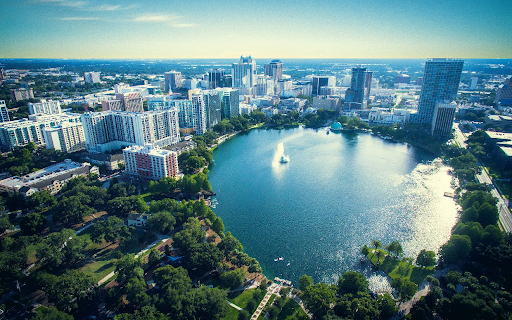 Hurricane season in Florida can be a devastating time of the year for citizens in a beautiful city like Orlando. Hurricanes crash through the coastal cities of the beautiful west coast. This leaves the work of solid waste cleanup crews cut out for them. After the toughest of hurricanes. The City of Orlando Solid Waste Team hits the streets to cleanup these messes caused by natural disaster. The Solid Waste team informs citizens of what they need to do post hurricane, and strongly urges residents to inform the team immediately once it is time for them to come and collect the solid waste and finishes up the hurricane cleanup.